The Hype Man Is Replaced By The Dj's Next Selection No Mic No Talking Just 12 Hours Of Uninterrupted Nonstop Music. Free Giveaways, Surprises And A Whole Lot More. Only The Best Local And International Dj's Guaranteeing You A Musical Experience Like No Other From The Classic To The New All Genre of Music. Register For A Experience Of A Lifetime And Chance To Win Prizes. 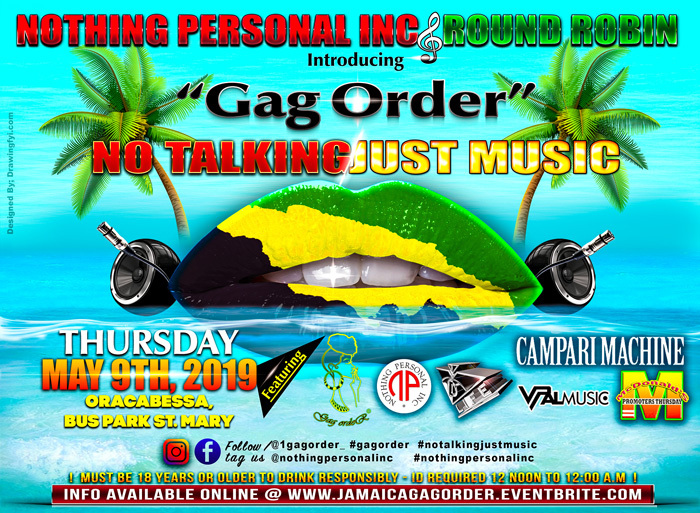 A Musical Experience Like No Other "GAG ORDER" No Talking Just Music.